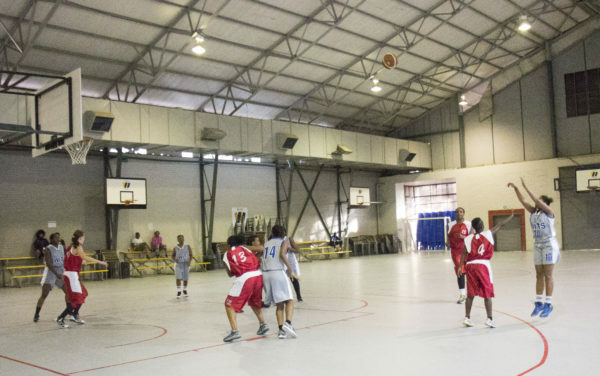 Lady Bucks beat Soweto Raptors 63 – 37 in ICSL. The Wits Lady Bucks defeated the Soweto Raptors 63 – 37 in the Inner City Super League (ICSL) at Hall 29 on Saturday, April 21. The Lady Bucks dominated in the first quarter, showcasing a well-structured defence and superior attack. The Raptors started fighting back in the second quarter but were still trailing the Lady Bucks 34-22. They attempted to make a comeback in the first half of the third quarter, slowly catching up to Wits and scoring a few well-deserved goals, eventually decreasing the gap between the teams to only 10 points. The win was theirs for the taking and the Lady Bucks stepped up their attack, placing the score at 50 -33 at the end of the third quarter in a surprising turn of events. Wits kept up the intensity, once again dominating the last quarter and bagging the win. Lady Bucks player Ipeleng Nyatlo said she likes the way they work together as a team, each player knowing her role and executing it well. “We don’t take it lightly playing against kids who are younger than us. It’s more of a learning experience for them but for us it’s knowing what to do next, adding up our mistakes and going back to practice,” she said. The Wits Lady Bucks will be playing in the Ashraf Lodewyk Memorial Basketball Tournament taking place this week from Monday, April 23 to Sunday, April 29.